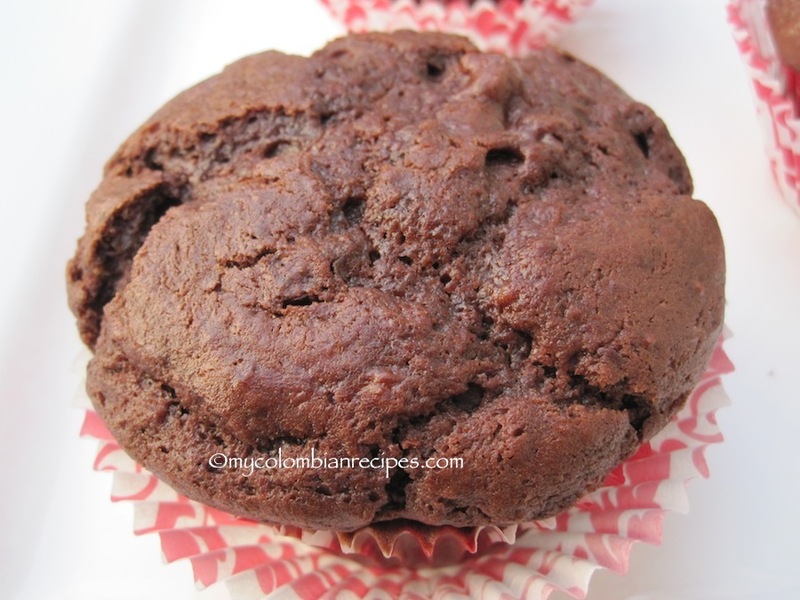 These Colombian Chocolate and Banana Muffins are rich and moist, making them a perfect dessert. 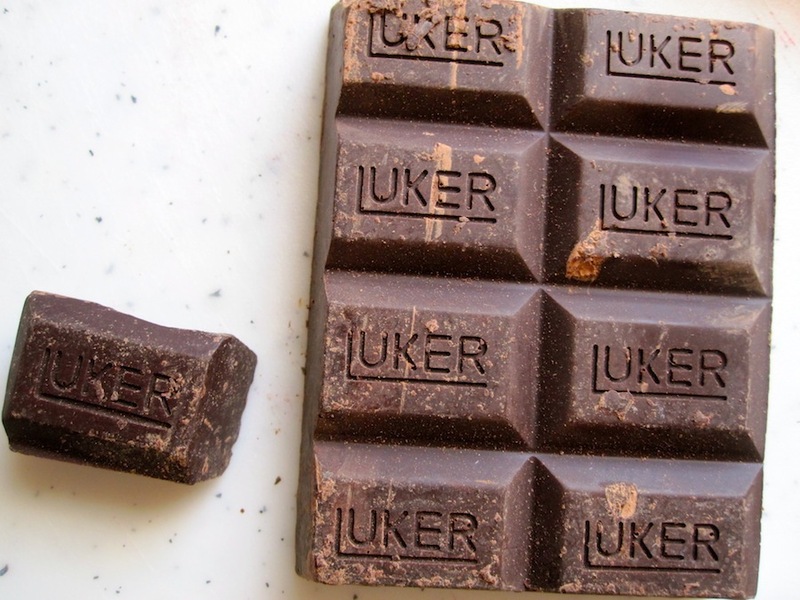 I used Chocolate Luker, a bittersweet Colombia chocolate, but you can use another chocolate, if you prefer. My husband enjoyed these muffins, but my 6 year old said that they were to rich for him. 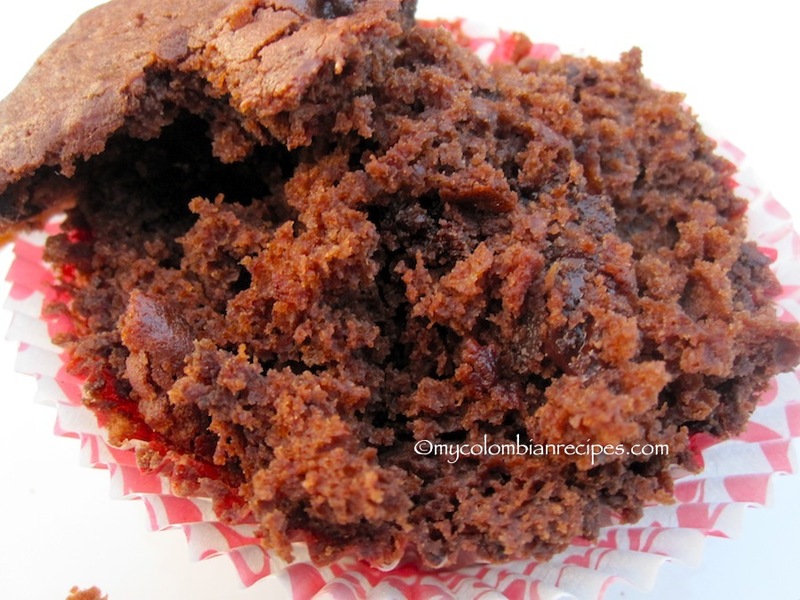 All that chocolate makes these muffins a chocolate lover’s dream. Preheat the oven to 350 degrees F. Butter or spray the 12 molds in a regular-size muffin pan or fit with paper muffin cups. Place the muffin pan on a baking sheet. 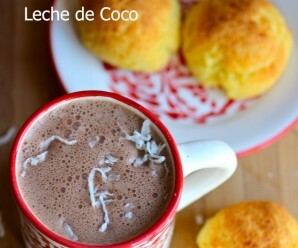 In a large bowl, mix the flour, sugar, baking powder, baking soda, cocoa and salt. 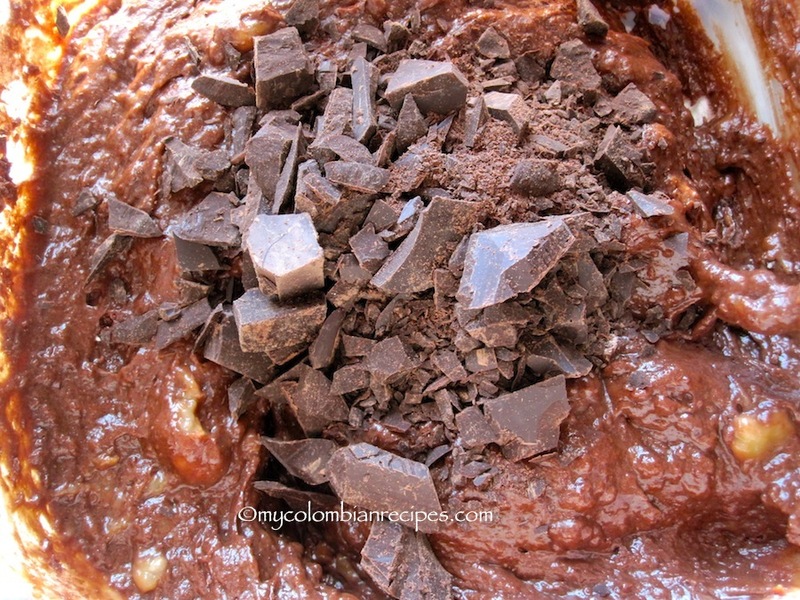 Melt the butter and half the chopped chocolate together in a bowl over a saucepan of simmering water. Remove from the heat. In a separate mixing bowl, combine the mashed bananas, egg, melted butter mixture and milk until combined. Pour the liquid ingredients over the dry ingredients and, with the a rubber spatula, gently stir to blend. Do not over mix the batter. 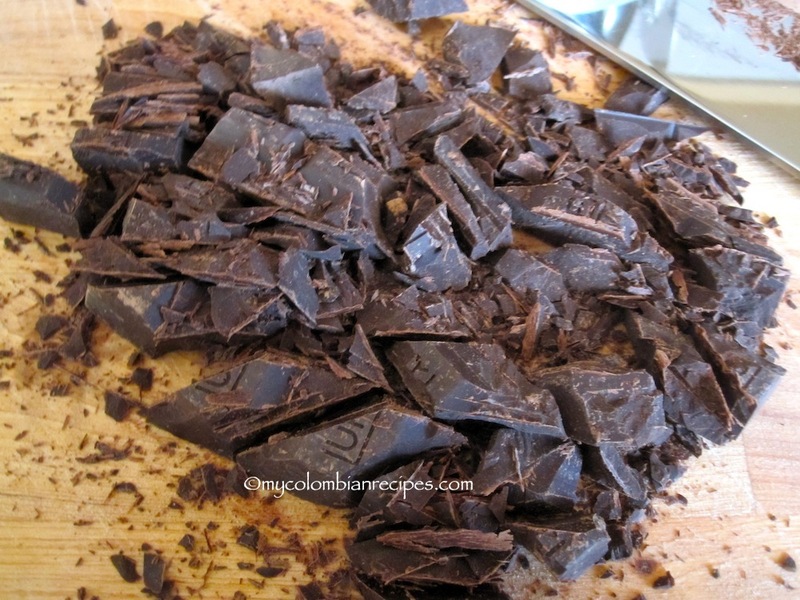 Stir in the remaining chopped chocolate. Divide the batter evenly among the muffin cups filling each about 3/4 full. Bake the muffins until a knife inserted into the center of the muffins comes out clean, about 25 minutes. Transfer the pan to a rack and cool for 10 minutes. Remove from the muffin tins. You are taking me over the edge with this one!! 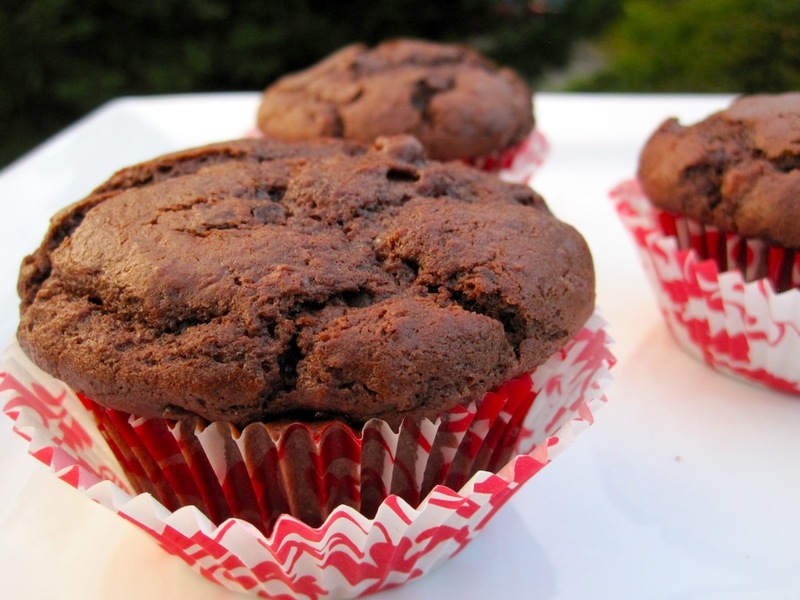 Mmmmmmm – these muffins look so chocolaty! Delicious! 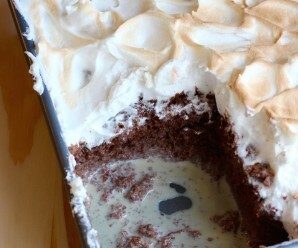 You are such a bad girl to tease this way…the least you could do is send some to a non baker…..God they look good. I am so glad to have come across your blog…..I would ask my mom, but she doesn’t measure anything, which makes it impossible to make her recipes. 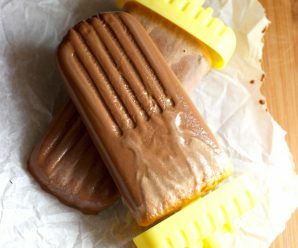 can you make these without the banana? Yes, it is a different recipe. Now I found this recipe but I live in the United Kingdom (I use metric units instead of imperial though) and I was reading a conversion table and it said one cup was 200g! I was quite disturbed by the amount so I only put in what you would say was about 1 and a half cups and they still tasted good. Am I right in thinking that there was 400g of sugar in the recipe?